Though she's still in high school, Alexis "Batgirl" Valentine is already an award-winning bat researcher. 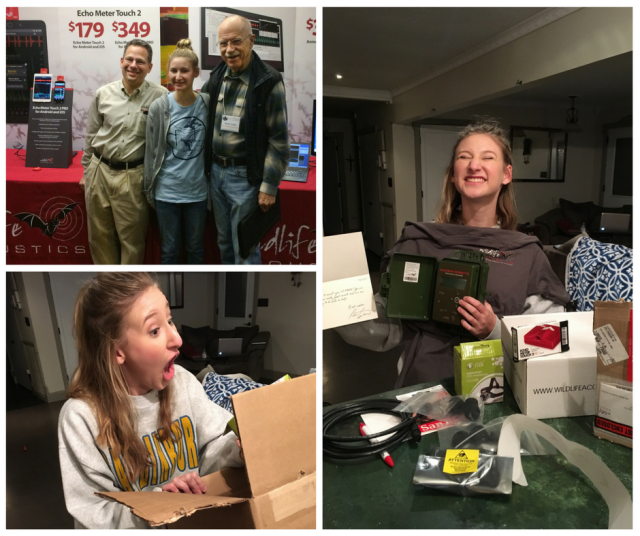 In fact, the precocious and passionate teen has been studying bats since the third grade. When she isn't in the field or in school, she is out educating her peers and other scientists about the importance of bats and the threats that they are facing. This past summer was a busy one for New York’s Central Park as always, but not just while the sun was out. This year, it was also the site of several very popular nighttime bat walks. In fact, they were so popular that they were sold out! Hosted by the American Natural History Museum and led by New York City Bat Group volunteers, participants of all ages would gather up around dusk, hold up ultrasonic bat detectors, and hear bats all around them, many of them for the first time. With the help of these ultrasonic bat detectors, including the Echo Meter Touch, participants could not only hear bats which are typically inaudible, but they were also able to see the diversity of species living in the city--something that is not obvious to those that only visit the park during the day. The evenings started near balcony bridge but they ended with a whole new appreciation of the the nocturnal wildlife that occupy New York City at night. One of the great things about how easy it is to use the Echo Meter Touch is that it allows kids to learn about bats, acoustics, and citizen science. In fact, we set up a list of links for students to get Echo Meter Touch for their classroom at our STEM resources page. 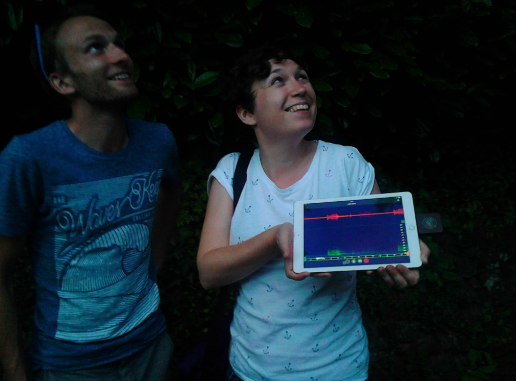 On July 17th, 2016, the Echo Meter Touch was a part of history on the UK’s first deaf-led bat walk. The bat walk was the idea of Alisdair Grant, Deaf Alumni Program Manager at Deaf Unity. Grant had been working towards his bat license and wanted to get the deaf community involved in his passion for bats. Together with the Heritage Ability Project (created by Living Options Devon to make heritage sites more accessible) they planned to build the bat walk into a free Open Day event at Cockington Country Park. The five types of educators who should be teaching about bats. Now back in stock, our popular Discover Bats! Curriculum Guide and DVD (from Bat Conservation International) bring bat biology to life with dozens of detailed lessons on bat species, habitats, and biology. Each Discover Bats! book comes with a Quick Start Guide. You get a school week’s worth of lessons. Nicely organized into Beginner, Intermediate and Advanced levels, the Quick Start Guide provides easy-to-follow lesson plans, applicable to grade school, through high school science and biology class needs. Bundled with our Echo Meter Touch, it is a great way to introduce students to the fascinating world of bats.